Oak Creek Fire Protection District Chief Chuck Wisecup said in November that the devices found were plastic bottles filled with aluminum foil and a cleaning agent suspected to be toilet bowl cleaner. Steamboat Springs — Oak Creek Police Department officers have arrested the man they said is responsible for setting off homemade acid bombs last month. Joshua Benjamin Flaharty was arrested Wednesday afternoon on suspicion of possession of an incendiary device, a Class 4 felony, and reckless endangerment, a Class 3 misdemeanor. He was in custody when he was advised of his rights. His bond was set at $10,000. “Although the investigation continues, it is believed all the devices have been recovered and there is no further risk to the public,” the Oak Creek Police Department stated in a news release Thursday. Police anticipate charges will be filed against a second person, as well, though officers did not provide any additional details about that suspect. 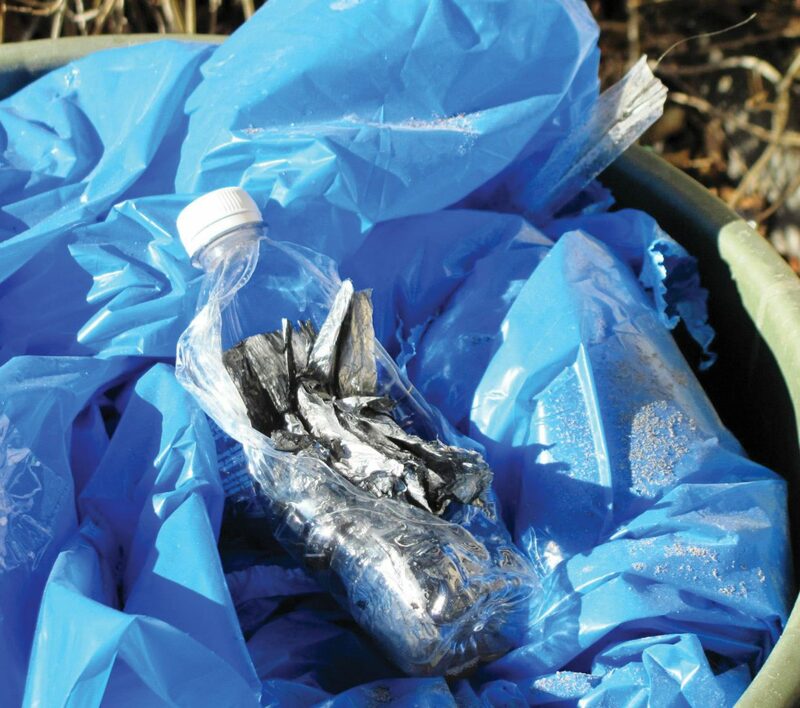 Police and firefighters on Nov. 27 and 28 were called to dispose of the remains of four detonated bottle bombs that were found at a business and three residences in Oak Creek. The bombs are made using cleaning chemicals and aluminum foil, which are sealed in a bottle. The bottles explode as a result of the pressure created by the chemical reaction. The bombs’ byproducts are hazardous, as well. Oak Creek police said their investigation revealed that three of the four devices were targeted at a specific person or persons and were deployed at specific locations, the release stated. Officers did not find a connection with the bomb that was detonated at Rachel’s Smokin’ BBQ and Cafe. According to an affidavit filed in Routt County Court, police began to suspect Flaharty was responsible after a woman contacted the Steamboat Springs Police Department. The woman told police she was scared that her fingerprints were on the bottles because she had drank from them before they were made into bombs. The woman told police she drove Flaharty around while he set off the bombs. They were the only people involved, according to the affidavit. The affidavit goes on to state that the woman said Flaharty was targeting a man who Flaharty said had assaulted him. That man was arrested Oct. 27 on various charges related to the reported assault. Oak Creek police officer Ed Corriveau interviewed Flaharty by phone Dec. 4. Flaharty denied being involved in the incident, and he said he was out of town when the “grade-school science experiment” occurred. “Flaharty continued to talk but offered no details and eventually ended the interview by stating, ‘I have nothing more to say until I get legal advice,’” the affidavit states. Flaharty remained in custody at Routt County Jail as of early Thursday evening.